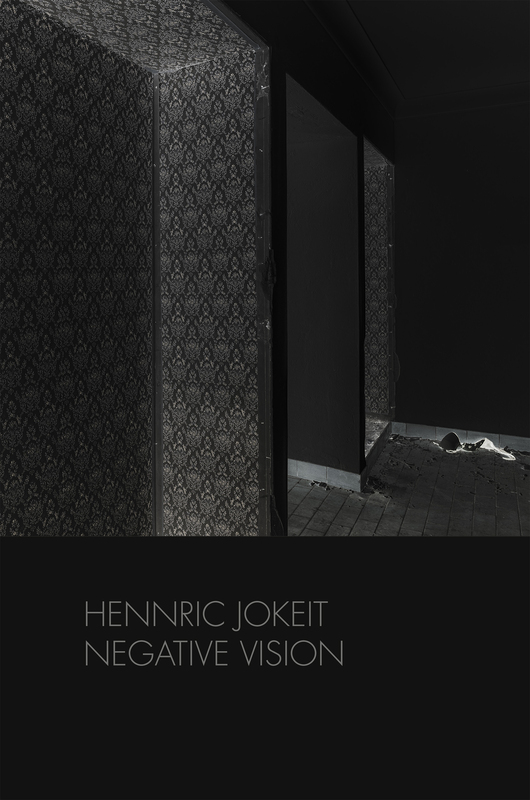 Swiss photographer Hennric Jokeit’s much acclaimed new book Negative Vision was recently launched at the Bildhalle in Zurich. Fellow photographer Roger Ballen wrote that: „Negative Vision is a book of images that transforms the mind in such a way that the dark becomes the light. These powerful images have the ability to resonate deep inside our cores”. It is this sentence that Hennric Jokeit choose to start his book with and it says a lot about his artistic approach. In thinking he is just as interested as in seeing, and what the one does with the other. In the flood of visual impressions in-depth processing takes place only when the seen is new and unexpected, or is classified as significant, already familiar is filtered. But the negative, regardless of the motive, remains a challenge for our perception. Hennric Jokeit experiments with different analog negative techniques, develops color slide film with a negative process or exposes photographic paper directly in the cartridge of a large-format camera. He photographs nature, architecture, places, spaces and objects. We recognize houses, trees, chairs, washbasins and phones – only that we encounter the ordinary, familiar things in an unfamiliar way and partly peculiar pale colors. We are trying to resolve, to think positive – but it does not work. The images retain their mystery. The effect does not loose it´s strength, because of the great care the photographer invested to set up his motives and to select and compile the pictures for this book. It´s exciting until the end. ›Negative Vision‹ is a terrific book that deals equally intense with the origins of photography and its current reception in a digital world. A rare stroke of luck.